Is it better to buy or rent in Corvallis/Albany, OR? Is it better to buy or rent in Corvallis / Albany? Because I enjoy selling real estate as a career, one would think that my first response is… BUY! Sales prices are still low. Interest rates are still low. There are even programs designed to get people back in home ownership sooner than later after a foreclosure or bankruptcy. 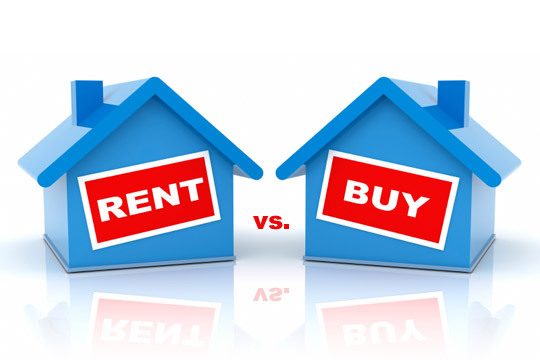 But is it better FOR YOU to buy or rent? Only you can answer that question. There are many factors to consider. How long you stay in your home is a big variable. The New York Times Business Day has a great Rent vs. Buy calculator to help you determine if home ownership at this time is the way you should go. The monthly mortgage payment is a huge factor. Yes, there are many benefits to owning a home. You are able to change things the way you want them. Any improvement made is an investment in the value of the home. The possibility of a value increase, thus more money in your pocket when you do sell. Tax advantages. Stability of having a home that is yours. However, for some, the thought of owning a home is less than pleasing. The repairs, the upkeep, the lawn maintenance and the feeling of being tied down. Again, there are pros and cons on both sides. If you are currently a renter, and are considering home ownership, give me a call. I can help you save time, money, and stress in finding your very own home. This entry was posted in Albany OR real estate, Corvallis OR real estate, Homes for Sale in Albany OR, Homes for Sale in Corvallis OR, Terri Woods real estate and tagged Albany OR, Corvallis OR, Homes for Sale, Rent vs Buy, Terri Woods real estate. Bookmark the permalink.